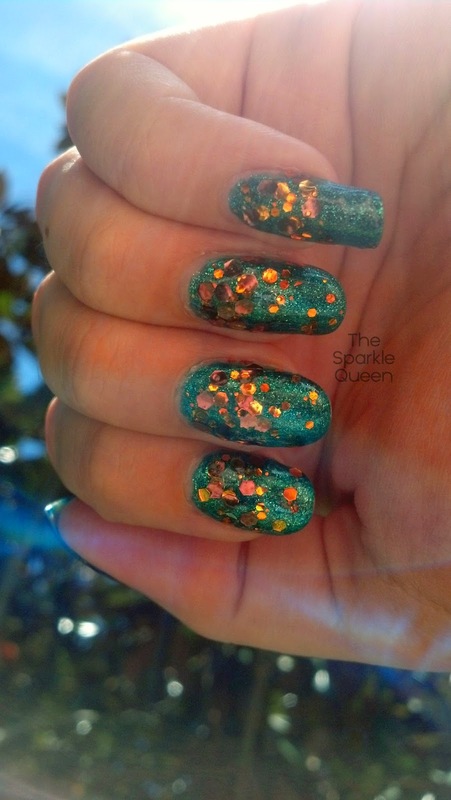 Don’t get me wrong, I love the original look I shared with you the other day (see that look here), but it just looks so much more…….my style; with all this extra glitter. To enhance the original look, I added even MORE copper glitter. And more. And some more. 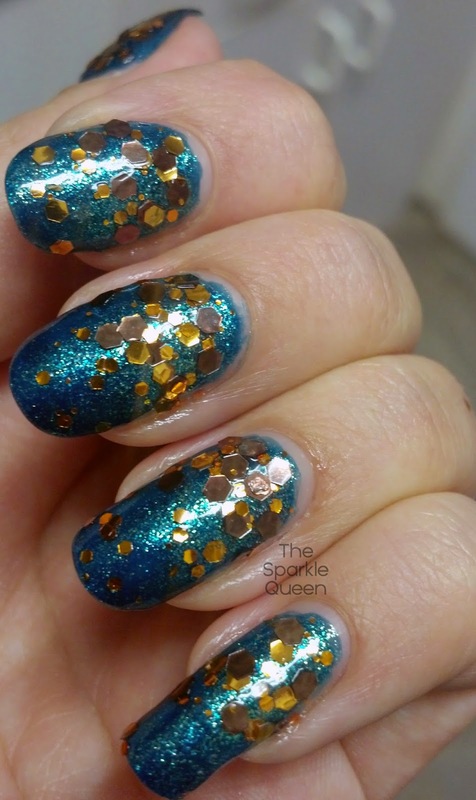 And when that was enough, I added a darker copper – almost brown, hexagon glitter to the mix. And then added more copper glitter over it. 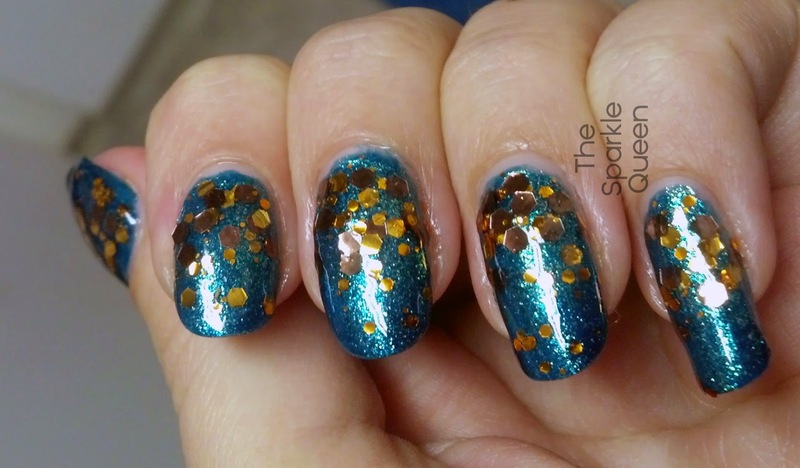 I love cerulean and copper combinations! I disagree with your quote….no "when in doubt"…always add glitter 😛 !! I love this! It's like coins falling through water!